We have owned an excellent team work which guarantee timely delivery with top quality Ford Ranger AC Compressor and thoughtful service. If you want to learn more about what we can do for you, contact us at any time, we look forward to establishing a good and long-term business relationship with you. 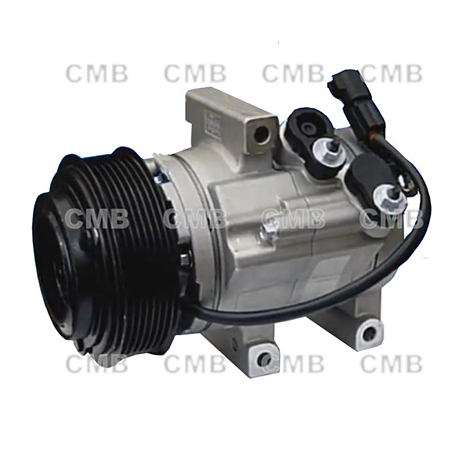 YI GUAN PRECISION CO. LTD is one of the renowned names involved in Taiwan manufacturer, supplier and exporter a comprehensive range of Ford Ranger AC Compressor. In order to assure the quality of our range, we manufacture this utilizing high grade material, which we procure from certified vendors. We provide these products with different gradations in size and specifications customizable as per the clients' exact needs. Our range is in high demand by our client spread across the international market and can be availed at industry leading prices.